or any other Government Agency or Department. aviation careers and Warrant Officer Training. we will forward your email to the US Army. This web site is for you to view History and Tradition. After completing Primary helicopter school at Fort Wolters, now we go to the Advance Helicopter Training portion. The Rotary Wing training at Rucker began in the Department of Rotary Wing Training. The first four weeks in the Basic Instrument Division at Shell AAF (originally designed as a Fixed Wing Field). The student went from there to the Advanced Instrument Training Division at Hanchey AHP. At Hanchey we used the TH-13T helicopters instrument trainer, and later, the Huey (UH-1). Initially, the training objective was to provide enough instrument experience to get out of trouble in case a pilot encountered what we called "inadvertent IFR". We called that qualification a "Tactical Instrument Card". As soon as we could, however, we extended training to provide a full-up Instrument qualification, and issued a "Standard Instrument Card". Here are some knee charts used during the Instrument Training. Remember the "hood". We spent a lot of time under the hood. The "hood" was a devise placed over the top of the eyes, like blinder on a horse, to prevent any outside vision other than the instruments. The next phase was with the Contact Training Division at Knox AHP. That provided a four week transition into the Huey. Here we learned how to take off and LAND safely, carry heavy lands, do autorotations (power off) landings. The last phase was with the Department of Tactics, (which later became the Tactics Training Division of the Department of Rotary Wing Training). That training operated out of Lowe AAF. For the first two weeks, students staged to Tac-1,and moved to Tac-x for the final two weeks. The tactical training phase attempted to provide Vietnam oriented experience as closely as it could be done. Until 1972, at least, every Instructor Pilot assigned to "Tactics" was a combat returnee from Vietnam. They knew first hand what the new Aviators would soon face, and they gave it all they had! There never was a more devoted group of instructor pilots that those who were assigned there. Here are Grade Slips each student pilot were shown at the end of their flight. Remember the Pink Slips? Sometimes IPs and student pilots would have Forced Landings and/or accidents. Here were the Procedures to follow. Aircraft needed servicing and the flight school had cards for those to fill out. 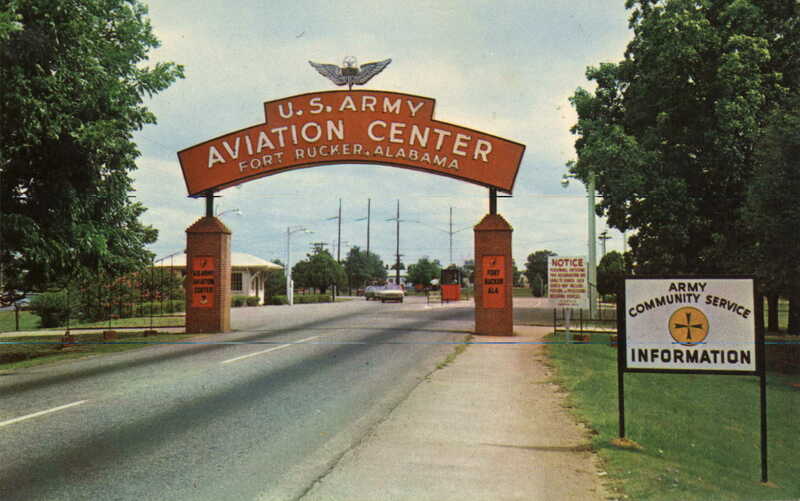 Lowe Army Heliport is located on the west side of Fort Rucker. Half of the class flew to Tac1 and the other half was bussed out to make the trip back. Here we learned to do sling loads, low level flying, beacon homing, landing in LZ's (landing zones), more formation flying, troop insertions and extractions, night tactics flying. One of the many homing devices we used were the two Big White Silos located south and west of Mother Rucker. They could even be seen on a part moon night. After the training was over we had one last flight. It was the graduation fly over of the whole class. Can you imagine all of the those student pilots in the same airspace at the same time? Remember the Flyby of the whole class? Let us not forget our weekend passes. We needed the time off to unwind.